2018 has a lot in store for London spiritual jazz outfit Emanative, with a full double LP and several remixes forthcoming, as well as some full live band appearances and DJ gigs. 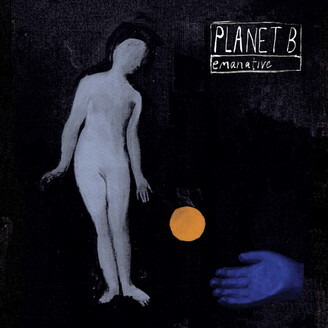 “Planet B” is the band’s first release of the year and it takes them in a slightly different direction, on a completely different vibration entirely, with an epic nine minute, almost post punk, afrobeat, disco and jazz inspired piece aimed at the leftfield dancefloor. The idea for this project grew from our interest in releasing the live version of the Ahmed Abdullah-written “Lions Of Judah” (Steve Reid & The Legendary Master Brotherhood) , which appears on the B-side and was recorded live at London's famous Café OTO, an institution for experimental live music and free jazz. The version has become a Gilles Peterson favourite and a regular on his 6Music and Worldwide FM shows. Nick Woodmansey, the head of the group, wanted to include an original piece as well and so went in the studio with the band and a clear concept for recording “Planet B”. Inspired originally by a Greenpeace poster and advert of the same name, as well as current adverse planetary situations. Musically it follows the spirit of Arthur Russell’s leftfield disco of Dinosaur L project, no wave band ESG, and Sun Ra.